Find here how to get to our Hotel. Easy! To facilitate your arrival, please find below some maps and brief descriptions of how to find us coming from the NORTH or from the SOUTH. You may also wish to CALCULATE YOUR ROUTE with Google Maps at the bottom of this page. 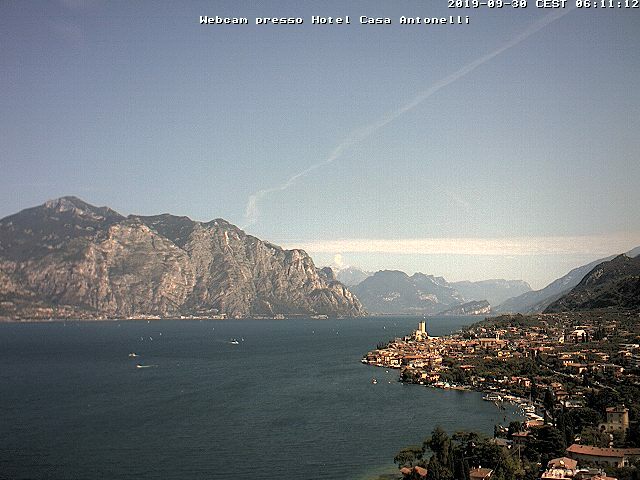 We hope to see you soon and help you to discover the beauty of Malcesine and Lake Garda. Navene, just before Malcesine (point A on the map). Follow the main road for 10 km. When you arrive at Hotel Ideal, turn left on the Panoramica road (point B on the map). Drive 1 km until a curve (point C on the map). Turn right in the curve and 500mt straight you find the parking of Hotel Casa Antonelli (point D on the map). The first hamlet of Malcesine from south is Cassone (point A on the map). Follow the main road for 3km. To take the Panoramic Road you have to get to Hotel Ideal (point B on the map). Turn right and continue on the Panoramic Road for about 1 km. 1) Insert your departure point and click on Calculate my Route! Click on "Other Options" link and get directions from Google Maps, save it or share it. For the last few kilometers, we recommend that you consult the information above to help you arrive either from NORTH or SOUTH.